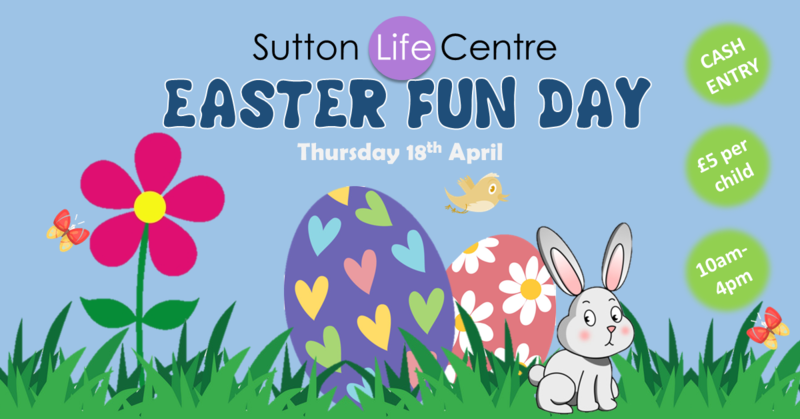 Come and join us for our Community Easter Fun Day, which will be taking place on Thursday 18th April at Sutton Life Centre. £5 per child. Accompanying adults and babies go free. Aimed at ages 4-10. Please be aware that we can only accept cash payments for entry. Café Refreshments (additional cost at café).